An Alvin Gentry personal appearance, Alvin Gentry speaking engagement, or Alvin Gentry endorsement will reflect well on your company. To hire Alvin Gentry now for any corporate appearance, fundraiser, motivational speaker event, personal appearance, autograph signing, or website endorsement please contact our celebrity agents at 1-877-6-SPORTS. We will contact Alvin Gentry or contact Alvin Gentry's agent and provide you with the booking fees and availability immediately upon your request. Direct Sportslink is the only sports speakers bureau and talent booking agency based in the United States securing only sports talent for corporations, associations, and organizations for motivational speaking engagements, personal appearances, and endorsements. We are the premier sports celebrity booking agency and a sports celebrity procurement expert. Accordingly, we will provide you with any relevant Alvin Gentry website information and booking agent details so that you can hire Alvin Gentry for your next event. 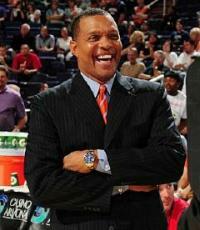 Alvin Gentry played college basketball at Appalachian State University under Press Maravich and Bobby Cremins. In 1978, he spent one year as a graduate assistant at the University of Colorado. 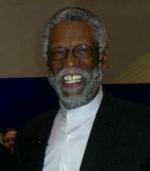 He also was an assistant coach at Baylor University under Gene Iba, in 1980. After one year, Gentry joined the University of Colorado staff. Gentry served as an assistant at the University of Kansas under Larry Brown, where they won the 1988 NCAA National Championship. After coaching with several NBA teams, Gentry was named the Phoenix Suns' head coach for the 2009-2010 season. He led the Suns to the 2009-2010 Western Conference Finals. 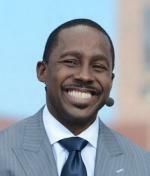 He has coached many great basketball players including Steve Nash, Grant Hill. Based on your interest in Alvin Gentry as a speaker or for a personal appearance, Direct Sportslink has provided you additional links below for other sports talent with similar appearance fees, speaker topics, and categories that match Alvin Gentry.